Today: Partly cloudy. A 20 percent chance of showers and thunderstorms in the afternoon. Highs in the lower 90s inland… In the upper 80s coast. South winds 5 mph shifting to the east in the afternoon. Tonight: Partly cloudy. A 20 percent chance of showers and thunderstorms in the evening. Lows in the lower 70s. South winds 5 to 10 mph. Details here. Today’s fire danger is moderate. Flagler County’s Drought Index is at 150. The OED’s Word of the Day: ostensible, adj. and n..
Don’t drop your guard: Today marks the beginning of the hurricane season. It lasts through November. Be prepared. Flagler County Emergency Management makes a presentation at the inaugural “Hurricane Preparedness Breakfast” being hosted by Flagler Volunteer Services. The breakfast will be held from 8:30 to 10:30 a.m. June 1 at the Hilton Garden Inn. The Flagler County Republican Club hosts a forum for the Republican candidates for Palm Coast City Council, starting at 6 p.m. (doors open at 5:30 p.m.) at the Palm Coast Community Center, 305 Palm Coast Parkway NE. The forum will feature Milissa Holland and Ron Radford, who are running for mayor, and Troy DuBose, Robert Cuff and Pam Richardson, who are running for two council seats. The several Democrats running for those seats are not invited to the forum as participants, nor will they be allowed in, though other non-Republicans may attend–assuming they are the guest of a Republican at the meeting. 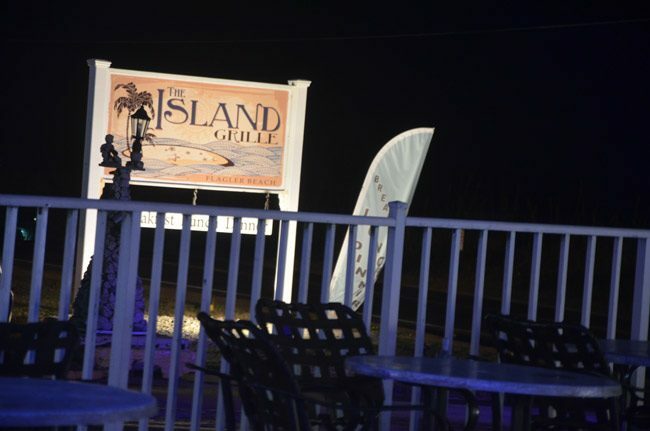 Anniversary Ribbon-Cutting: The Island Grille in Fllagler Beach, formerly the home of Blue at the Topaz, celebrates its one-year anniversary with a ribbon-cutting and more. Open house starting at 4 p.m. Contact Carla Cline for information: 386-338-1655. At 1224 South Oceanshore Blvd., Flagler Beach. In Feud’s Latest Distortion, Palm Coast Blames County for “Killing” $600,000 City Road Grant: Palm Coast City Manager Jim Landon is blaming County Administrator Craig Coffey for “killing” a $600,000 state appropriation for a city road. In response, the county this morning issued a statement not only to correct the manager’s characterization of the issue—spending that money on a city road would have been illegal, in the county’s view—but noting a $1.2 million project miscalculation by the city as the source of the “hole” the city is trying to plug. Intersection at Old Kings Road and Town Center Blvd. Will Finally Get a Traffic Light: The $154,000 project will include some new landscaping and will result in the closure of the makeshift parking area for people who use the Lehigh Trail. The zone must be closed to make the new arrangement safer. “Nothing about it is right today,” City Manager Jim Landon said of that zone. That parking zone will be moved to the Northeast corner of the Old Kings Road bridge. The project will start at the beginning of July and should be done by September. Can You Be Punished For Refusing DUI Test? 2 Highest Courts About to Decide. : The Sept. 1 arguments before the Florida court may be rendered moot by a decision of the United States Supreme Court, expected by the end of June, on the same issue. The high court heard arguments in that case–Birchfield v. North Dakota–in late April. A majority of justices were skeptical about such laws. Three years ago, a majority of the court ruled that police may not draw blood from a suspect without a warrant. 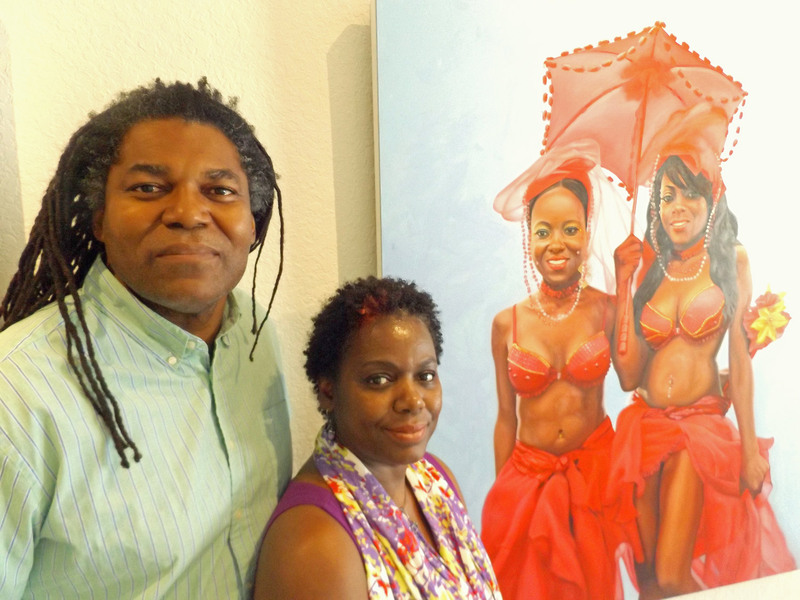 Art Walk Renaissance as Calypso and ZinkZank Galleries Open Within Brush Stroke of Salvo: Artists at each venue – Salvo owners JJ Graham and Petra Iston, Calypso owners Weldon and Richlin Ryan and ZinkZank owner Sheila Skipp Zinkerman – use the term “art walk” to describe the dynamic they hope will develop since the Ryans left Salvo in March and opened their own gallery less than 100 yards away. Calypso had its grand opening on May 21 in suite K12 at Marvin’s Garden, which is on State Road 100 a turtle’s stroll west of Belle Terre Parkway. ♦ June 2: The Flagler County Young Republicans Club host a forum featuring the six Republican candidates running for sheriff in the Aug. 30 primary. The forum is at the Hilton garden Inn, 55 Town Center Blvd., Palm Coast, at 6 p.m. It features Don Fleming, John Lamb, Jerry O’Gara, Rick Staly, Mark Whisenant and Christopher Yates. ♦ June 4: Flagler County’s Democratic Executive Committee holds a potluck picnic at Hershel King Park at 1000 Grady Prather Jr. Cove in Palm Coast starting at noon, with honorary guest James Canfield, first mayor of Palm Coast. Plenty of children’s activities, a dunk tank, ice cream truck, and a chance to meet Democratic candidates. Free admission includes hot dogs, baked beans and coleslaw. ♦ June 7: A 1:30 p.m. hearing is scheduled in the case of Anna Pehota, accused of second-degree murder in the shooting death of her husband on Sept. 23, 2015, in the Hammock. Her trial was scheduled for April 18, but her attorney, Ray Warren, was granted a delay so he could explore Pehota’s memory issues, which could play a deciding role in the handling of her case. The results of that inquiry are to be the subject of this hearing. ♦ June 8: The Public Safety Coordinating Council meets at 8:45 a.m. at the Emergency Operations Center in the Government Services complex, behind the Government Services Building. ♦ June 8: Euro 2016 begins at 3 p.m. with a France-Romania match-up. France is hosting the month-long tournament, which features 24 of the world’s best national teams. The final is on July 10. ♦ June 14: Dr. Bill Mefford, Faith Outreach Specialist for Americans United for Separation of Church and State, leads a discussion entitled “Religion and Partisan Politics Don’t Mix,” hosted by the All Flagler Democratic Club at 7 p.m. at the African American Cultural Society, 4422 US 1 North, Palm Coast. Call 386-447-7030 for best directions. This program is free, open to the public, all are welcome, no advance arrangements are necessary. ♦ June 16: The fourth annual commemoration of the largest mass arrest of Rabbis in U.S. History, an event that took place in St. Augustine on June 18, 1964, will be held on Thursday, June 16, at 7 p.m. in the Gamache-Koger Theater in the Ringhaver Student Center at 48 Sevilla Street in St. Augustine on the campus of Flagler College. The 90-minute event will include the reading of the letter written by the Rabbis in the Flagler County Jail and a video of the forum held with the surviving rabbis who gathered in St. Augustine in June, 2014. This event is free, all are welcome, no advance arrangements are necessary. Call (904) 819-6365 for best directions. ♦ July 5: A pre-trial is scheduled at 1:30 p.m. before Circuit Judge Matthew Foxman in Courtroom 401 at the Flagler County Courthouse in the case of Joseph Bova II, the man accused of first-degree murder in the killing of Zuheily Roman Rosado in an execution-style shooting at the Mobil Mart on State Road 100 in Palm Coast in February 2013. Pre-trail hearings have been frequently continued, however. Bova has been held without bond at the Flagler County jail since May 11, 2015, when he returned from a state psychiatric hospital. ♦ July 20: The Flagler League of Cities, a gathering of the county’s mayors, meets at noon at Flagler Beach City Hall. Paving operations to begin Sunday May 22 on Interstate 4 near Deltona and DeBary: Paving operations will require nightly lane closures on Interstate 4 (I-4) near Deltona and DeBary beginning Sunday, May 22. Westbound single lane closures will occur from 7:30 p.m. to 6 a.m., while eastbound single lane closures will occur between 7:30 p.m. and 6:30 a.m. The contractor may close two lanes at a time between 10 p.m. and 5:30 a.m. The contractor, Ranger Construction Industries, Inc. will begin with a deep milling operation in the westbound lanes near the Saxon Boulevard entrance ramps to I-4 westbound. That work will occur Sunday and Monday nights, May 22 and 23. Milling and resurfacing of the westbound lanes to the St. John’s River Bridge will continue the remainder of the week. Additionally, the contractor will close the entrance ramp from Dirksen Drive to I-4 westbound on Wednesday, May 25, from 11 p.m. – 6 a.m. to remove barrier wall. The work is part of the Florida Department of Transportation’s (FDOT) resurfacing project on I-4 from the east end of the St. John’s River Bridge to Saxon Boulevard. Jan Dismas Zelenka (1679-1745): Missa Votiva in E minor, Václav Luks, cond.